Oh what a great card, loving the vintage look am sure your friend will love it. 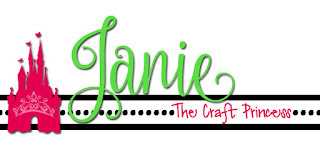 Janie, this is lovely and I agree, you have nailed the vintage feel. Thanks for the blog visit and kind words. Good luck in the draw! Thanks for joining us this week at CRAFT Challenge! 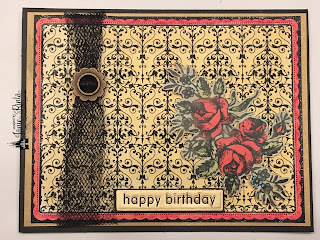 This works really well for a vintage card - great colour choices! 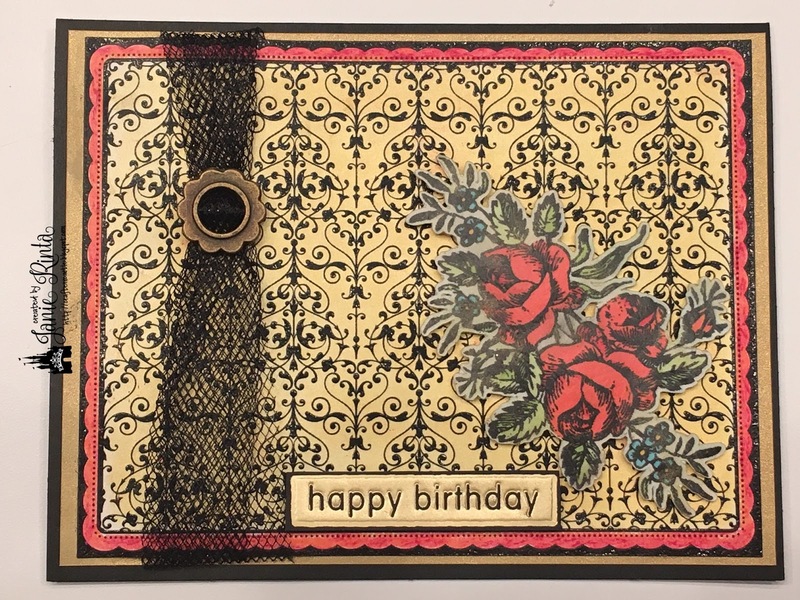 Stunning vintage card...love your beautiful background and that netting you used. Thank you so much for playing along with us at The Card Concept. Well this is gorgeous! Love the color scheme...and the tulle... perfect! Very pretty vintage card!! Love the tulle, flowers, and sentiment!! What a gorgeous vintage card! Great card Thank you very much for joining our challenge at Craftyhazelnut's Patterned Paper challenge. Wonderful card, Thanks for sharing your talent! !